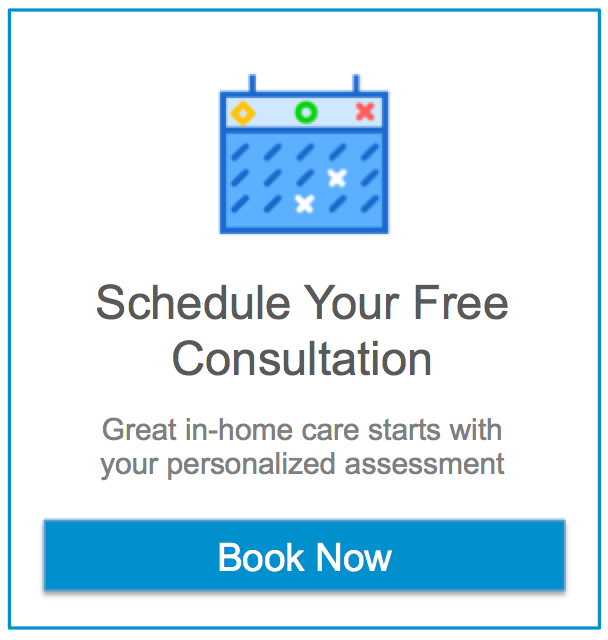 When looking for home health care Mendham NJ there are many options and we know that it can be difficult to determine how to manage the needs of your loved one. Here at Assisting Hands we want to make your search for solutions as easy as possible. To help you in making these decisions we’ve created a comprehensive list of useful resources for senior care, assistance and some fun activities to enjoy in the historic town of Mendham NJ. Are There Legal Requirements for Home Care Providers in Mendham NJ? Yes, but they apply to all of NJ as they are state laws. In short, a home care provider must be licensed, bonded and insured to operate legally in NJ. There are also procedural rules such as visits conducted by a registered nurse to perform an evaluation and subsequent follow ups. Assisting Hands Home Care complies with all regulations in the state of New Jersey to ensure your loved ones are safe and cared for. Mendham NJ seniors have the benefit of living near local businesses with big hearts. We have listed businesses in Mendham NJ that aid our most in need community members. Holly Manor Center is located in the heart of Mendham NJ and offers rehabilitation services as well as long term care services. Cornerstone provides assistance for seniors and their caregivers in Mendham NJ and surrounding areas. They offer everything from financial advice to outreach for caregivers who are feeling the pressure of their work. There is help for the full range of disabilities so everyone can find assistance. Mendham Area Senior Housing Corporation (MASH) in Mendham NJ is a 40-unit apartment community providing subsidized rents for qualified tenants in 35 of those units. Partners with local individuals houses of worship, schools and clubs to provide a variety of support activities such as senior dinners, exercise classes, yoga, bingo, student and scout visits and Meals on Wheels services. MASH is conveniently located next door to King’s supermarket and provides transportation for any Mendham seniors for shopping, doctor’s appointments and other needs in the local area. For Mendham NJ residents 55 years and older, the Mendham Senior Citizens Group is a great opportunity to find fellowship and support. They meet every other Monday at 11 a.m and take day trips to wonderful locations as well as two multi-day trips throughout the year. Bring your own lunch, but dessert is provided. Annual membership dues are $12. The Mendham Township Library provides a friendly community gathering place that connects people of all ages with information, ideas and to others to fulfill intellectual and leisure interests through resources and programs. As of September 1, 2015, the Mendham Township Library will be returning to normal operating hours. The Library’s Book Club meets the last Wednesday of each month at 1:30pm in the Library. Casual conversation about a pre-selected book will take place. Bridge Club meets on the second and third Wednesdays of the month from 1:30 to 3:30 PM in the Library. This includes a short lesson, directed play and is lots of fun. All players from beginner to advanced are welcome to attend. Yoga Classes every Tuesday and/or Thursdays at 8:30 am. Stop by the Library to sign up. Notary Service is offered free of charge at the Library but please call ahead for availability. At Assisting Hands Home Care, we specialize in matching the perfect certified home health aids and nursing assistants with our clients. However, we also recognize that there is more to living than being at home. Here are some community locations for seniors in Mendham NJ to get the most out of an independent lifestyle. The Community Club at Brookside offers classes such as Ballroom Dancing and Jazzercise. Request a reservation through their online application (preferable) or by phone. This historic landmark is the go-to place for everyone in the Mendham area. Celebrating more than 270 years in business, the Black Horse Tavern is located in the heart of Mendham, NJ. Originally a stage coach house in the mid-1700s, today the Tavern embraces the traditions of fine dining with exceptional hospitality, a historic restaurant setting and focus on modern American cuisine using local produce and products from purveyors throughout the tri-state area. Built by John Ralston in 1785 this one-room building was the center of the Ralston Community. It served as a general store from 1785 to 1893 and then the local post office from 1893 to 1941. It was then acquired by the Ralston Historical Society in 1945 and became a museum in 1964 with a collection that has been expanded over the years to include a variety of local artifacts including antiques, photographs, maps and manuscripts from the 18th and 19th century. Monthly meetings are usually held on the first Thursday of the month at Hilltop House on Hilltop Road in Mendham. The Randolph YMCA serves its neighbors in Mendham NJ as well. Their senior program goes by the name “Silver Fox Group” and welcomes members 55 years and older to join their Friday exercise classes, lunch, and meetings. The Silver Fox Group meets from September through June. For members over 80, the Randolph YMCA celebrates you with their “Aged to Perfection” celebrations on your birthday month. Religious institutions are a great place to find senior-friendly activities. Participating in community events such as volunteering is a great way to get out and meet others. Below is a list religious institutions in and around Mendham NJ. Grace Lutheran Church has numerous activities including quilting and the quilts are donated to people in need. Every Tuesday from 10am to 12 noon. Volunteer at Homeless Solutions every fourth Friday of the month. Contact Pam Gau 908-879-3715 for further information. Volunteer at Holly Manor Nursing Home to help call bingo games on the last Monday of every month from 6:30 to 7:30 pm. Join the 2015-2016 Neighborhood House Tutoring Program. Looking for high school students or adults to serve as tutors to elementary students from Neighborhood House, a community service program in Morristown that serves a diverse population. Saturday mornings from 10:00 am to 12:00 noon, September 2015 to May 2016.